It’s amazing how three good looks in a row can renew your optimism for someone’s style. That someone is Meghan, Duchess of Sussex, who is frankly is on the best roll of her life style-wise. Who knew I would only have to wait a year to type those words? 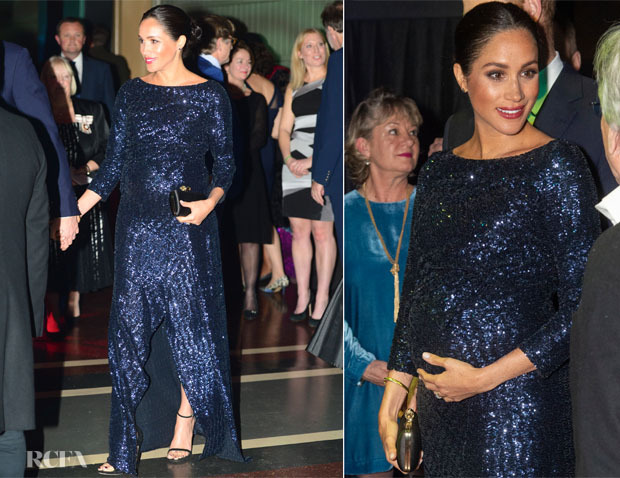 Markle has her sparkle back, and on this occasion she looked radiant in Roland Mouret’s Sarandon gown worn to the Cirque du Soleil Premiere Of ‘TOTEM’ held at Royal Albert Hall on Wednesday (January 16) in London. The Resort 2019 gown offers a softer stance on the designers signature tailoring, which would’ve provided comfort for the Duchess at this seated event. 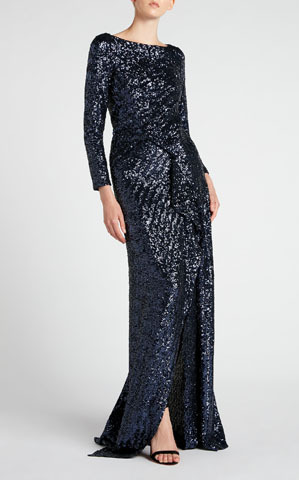 Blanketed by glimmering sequins, the floor-length gown does posses the designer famed folds and drapes cascading from the skirt. Making the most of the split, the Duchess showed off the celebrity-approved ‘Nudist’ sandals from Stuart Weitzman, with her favourite Givenchy clutch completing her look.